Clubbing the cash together to pay for a deposit on a new home is not just a problem for prospective tenants; it’s a pain for property owners too. Luckily technology is making this process more efficient and secure. To hedge themselves against potential property damage, landlords usually require that tenants provide two or three months’ rent up-front. That cash is held by the property owner until the end of a lease and (hopefully) returned if there is no cause for complaint. As the money does not technically (yet) belong to the landlord, it’s treated by law as a loan that the landlord must keep safe until it’s time to either give it back or claim it for themselves. It might seem like a good idea for a landlord to deposit this into their bank account, where it will be safe. But that actually raises a host of pesky legal problems. In fact, commingling a tenant’s security deposit and personal funds can forfeit a landlord’s right to claim any of the deposit in some US states such as Florida — even if their home is wrecked. That is because the deposit becomes difficult to track and validate in a court of law. There is also the risk that a landlord loses track of the tenant’s deposit themselves, accidentally spending it on, say, a new car. A home renter would be understandably cross in that instance. And in some states, a landlord is required to collect interest (usually from a bank depending on how long the money is in an account) on behalf of their tenant. That is very difficult to calculate when funds are commingled. But the rules around this differ from region to region and a landlord should check carefully the fine print for their state. For example, in Pennsylvania, a landlord can keep part of the interest accrued on a tenant’s deposit and charge the tenant an administrative fee. Other states say the entire interest sum should be handed back to a tenant. This can create costly and time-consuming legal disputes — €6 billion is lost annually due to disputes in the UK alone. The traditional solution is for a landlord to create multiple bank accounts and separate their tenants’ funds from their own funds. Though that may seem obvious, many landlords fail to do it. A good way to do that is to create an account for each tenants’ deposit, even though it may seem arduous. Additional separate bank accounts can be used for rental operations expenses, such as repairs and maintenance. Doing this will enable you to issue refunds directly from your security deposit account, making it easier for you to keep your books in order. But technology can solve all the problems much more efficiently. 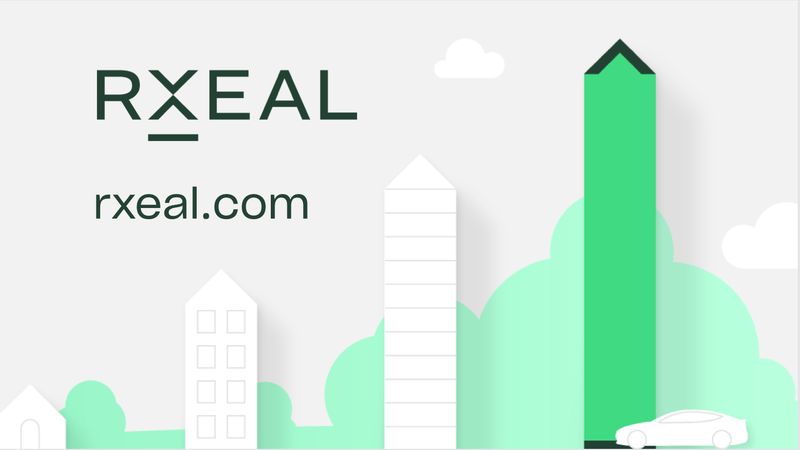 The RxEal solution, for example, puts each tenants’ security deposit in smart contracts stored securely on the Ethereum blockchain throughout the course of the agreement. This prevents the commingling of funds and negates the irritating need to open multiple checking accounts. Deposits can be tracked independently, making bookkeeping a breeze. With RxEal, each smart contract can accrue its own interest on behalf of the tenant, as per jurisdictional requirements and the preferences of the lessor or lessee. And because RxEAL increases transparency, trust between a tenant and a landlord can be improved. If disputes do arise, they are resolved quickly by independent and qualified arbitrators within the RxEAL platform. There are many more benefits to using the blockchain as a property owner. Letting out a property usually involves much bureaucracy for both a tenant and a landlord. When a property is finally rented, the agreed terms are made via a contract, which is usually paper-based, and hand-signed. This is a woefully inefficient process. Barclays, the UK based bank, estimates that it can take up to two days when transferring money between bank accounts. And there are fees involved, usually around £100 to renew a tenancy, plus more paper-signing. In addition, it can take up to 10 days for a tenant to get their deposit back, and there could be legal disputes, making it even longer to resolve the problem. The blockchain could enable the simple creation of property agreements that are stored safely and privately, and enforced as legal documents, should the need arise. A more transparent system, the blockchain can speed up the resolution of disputes and enable near-instantaneous execution of tenancy agreements. With fewer legal challenges, faster transactions and safer storage, there are myriad reasons for landlords to turn to the blockchain. Next ArticleTOKPIE Releases Much Anticipated MVP!